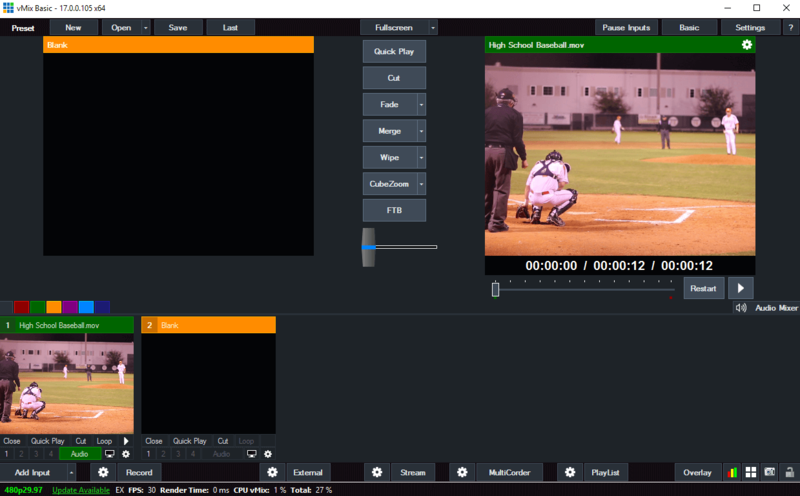 In this tutorial, you will learn how to use Live Score with vMix by using the NewTek NDI integration of Live Score. This is a perfect solution if you run Live Score either on the same computer with vMix, or on another computer, laptop or tablet in your local network. 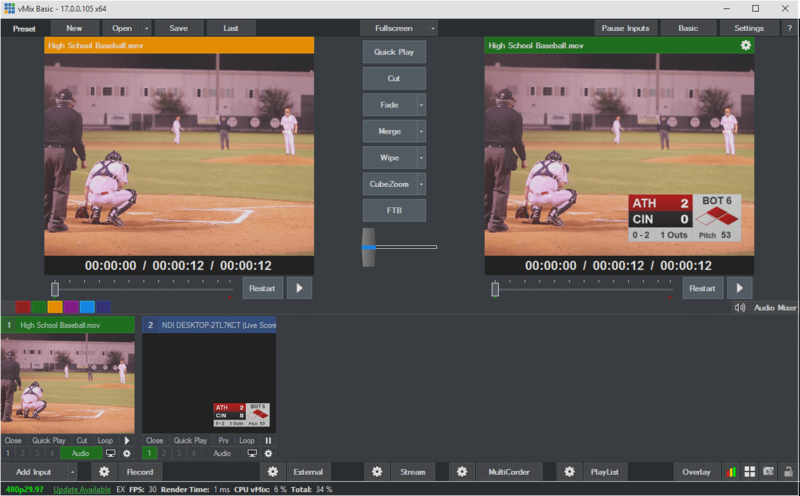 The NDI integration comes with the free Standard Edition of Live Score. 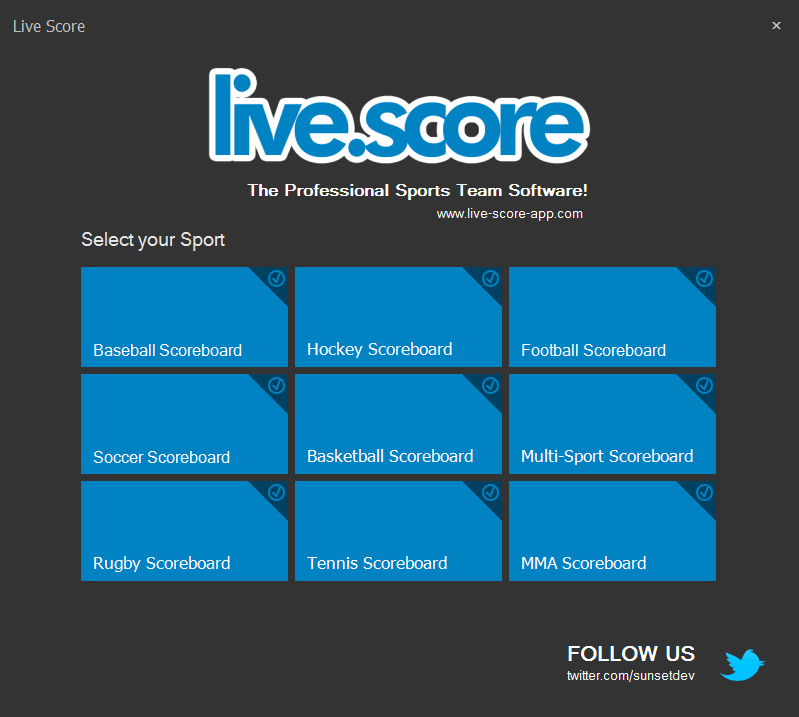 We start by opening Live Score and selecting our sport. Live Score will start the main application with the sport you have selected. 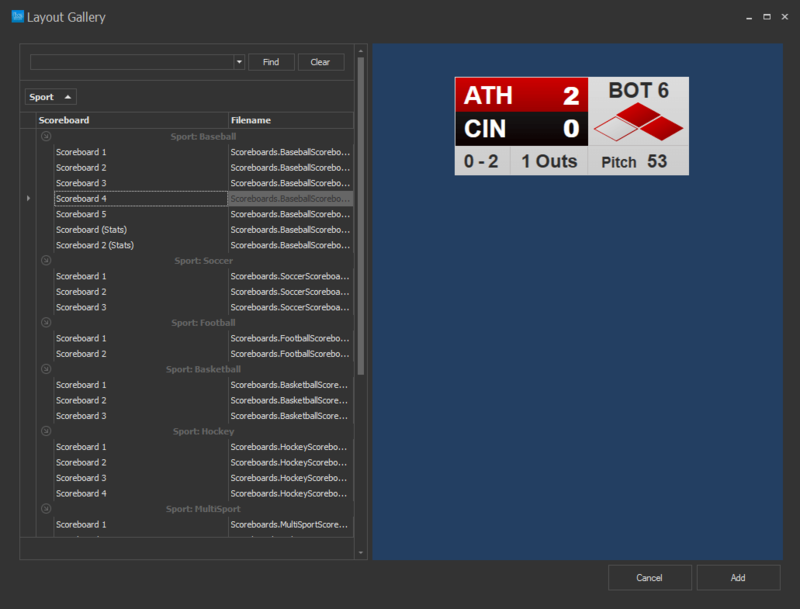 Now it's time to prepare and enable the NDI output before we add and align a scoreboard. 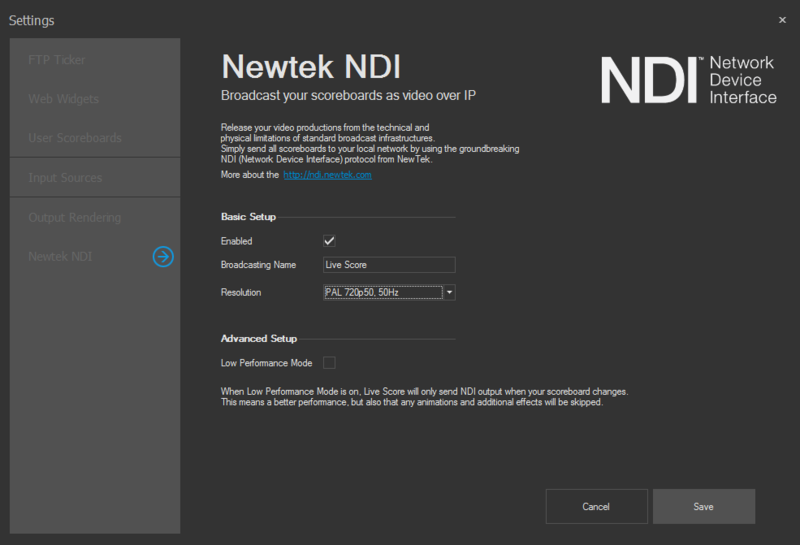 Go to Edit -> Settings and navigate to NewTek NDI. Now enable it by selecting the checkbox, choose one of the available resolutions and click on Save. Further details about setting up NDI can be found here. Let's add a new scoreboard by using the + button in the right scoreboard panel of the main window. This will open the layout gallery, where you can choose one or more of your available layouts. After clicking on Add, your scoreboard should appear in the center area of Live Score. Now it's time to move it somewhere within the red NDI container rectangle by simply dragging it with your mouse. This rectangle is the part of the screen that will be broadcasted using NDI. It's size depends on the resolution that you have set in the step before. We're done in Live Score. The last thing we need to do is to start the Live Score engine. Do this by pressing the blue start button in the top right corner of the main window. If everything worked as expected, the console output of the Live Score application should display that the NDI broadcaster has been started. 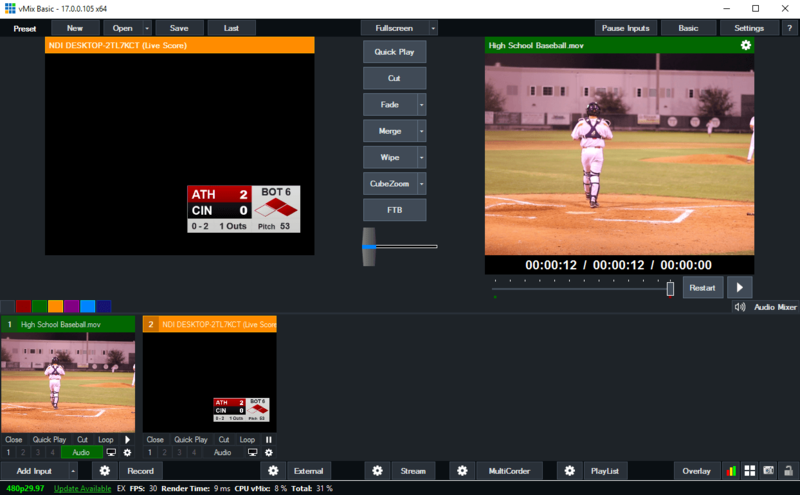 Live Score does now broadcast a video feed of your scoreboard to your local network. It's now time to start your vMix application. You can do this either on the same computer, or on another computer in your local network. 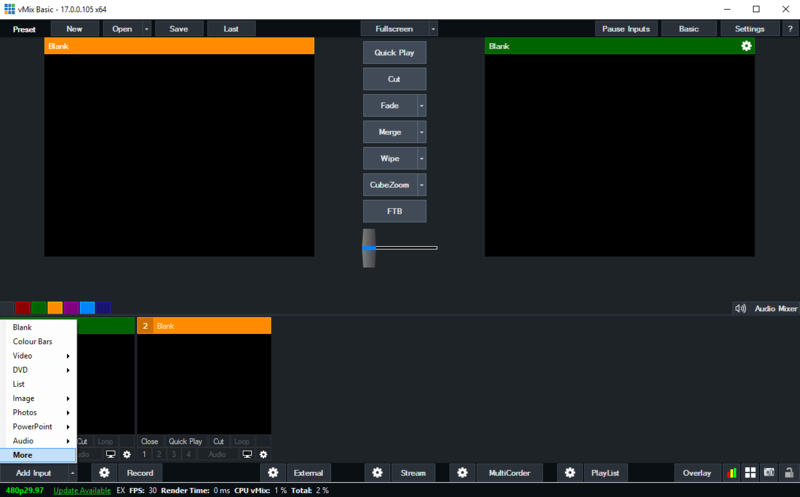 vMix should now display an empty project - no input source or anything else. So let's add a video or camera source. Click on Add Input and select either one of the appearing options or one of the various input types in More. It's finally time to add our Live Score scoreboard to vMix. Go to input source and click on more. 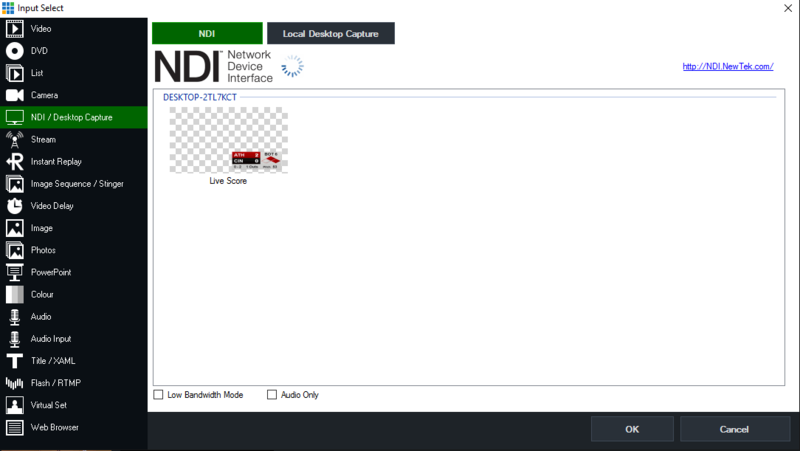 In the dialog window that is now appearing, click on NDI / Desktop Capture. This opens the overview of all available NDI sources. 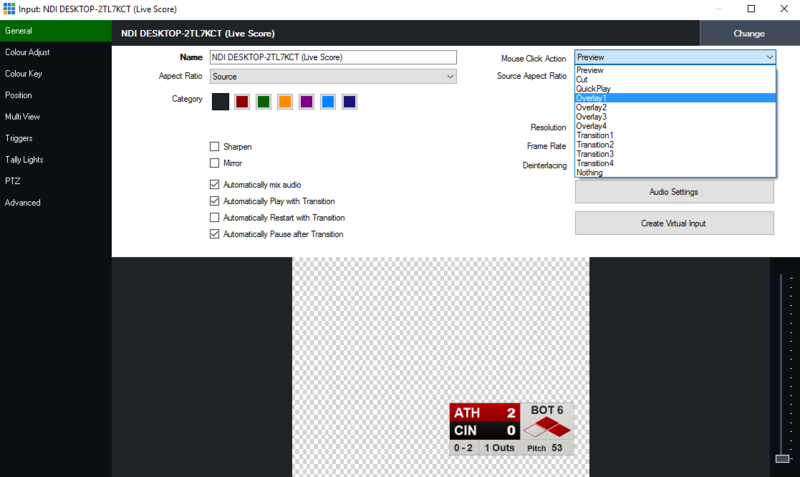 If you're Live Score computer is connected to your network and running, you should now see it in the list of available NDI sources. Select it and click on Add. 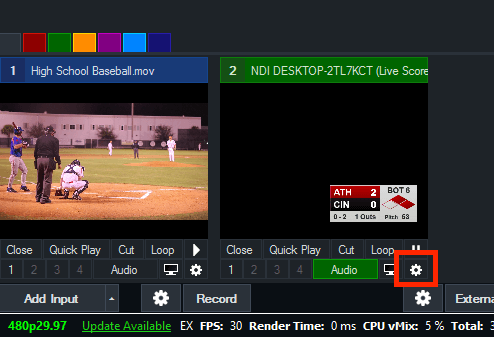 Your Live Score scoreboard is now successfully added to vMix. 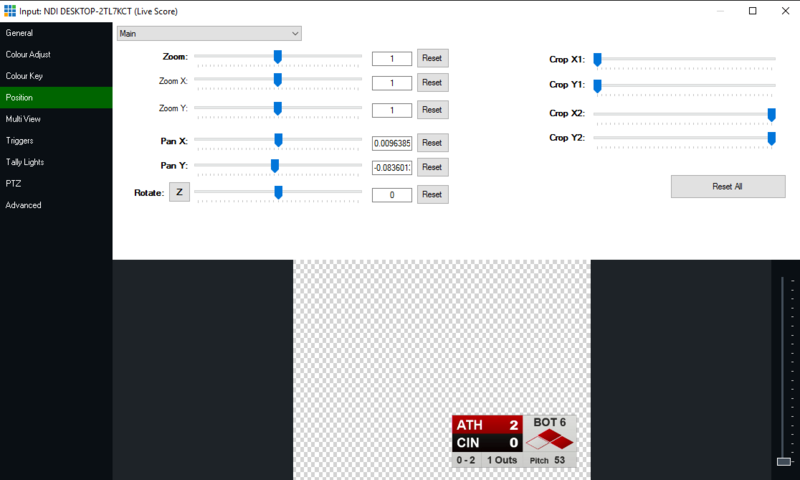 The last thing is to set our scoreboard input as an overlay input. This is the required setting to have it as a new layer on top of our camera source. Click on the small gear icon to open the settings dialog for this input. Now set it as an Overlay and move it to the position that you like most. And we're done - close the settings and we are ready for the last step. Everything is set up correctly. It's time to actually bring our new scoreboard layer on top of our camera source. Because we have set our scoreboard to overlay, you can simply click on it and it will be on top of your camera layer. If you want to remove it, just click again on your scoreboard input. 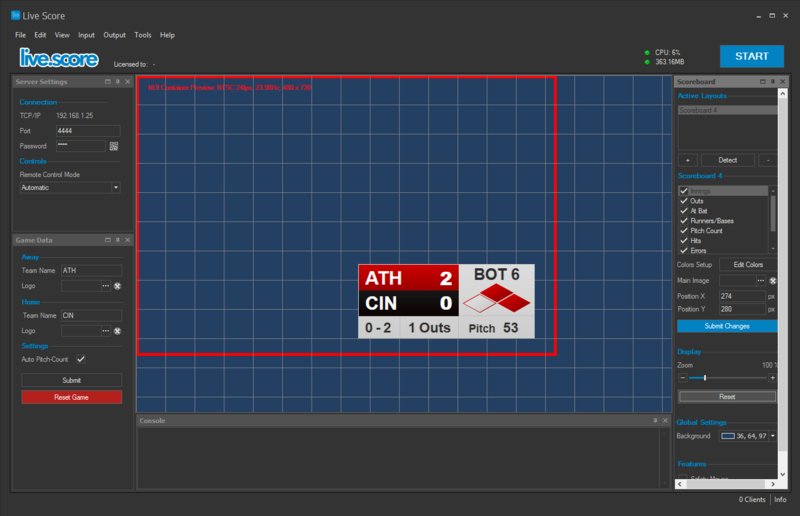 You can now go on with finer adjustments, like positioning the scoreboard, scaling it, and proceeding with your usual broadcasting workflow. Live Score has not been made in cooperation with vMix. This tutorial only covers the current version of vMix and does not ensure any functionality of vMix.